Gertie the grumpy goat refuses to leave her pen. Poppy, Sam and Rusty try to coax her out – but why won’t Gertie come? 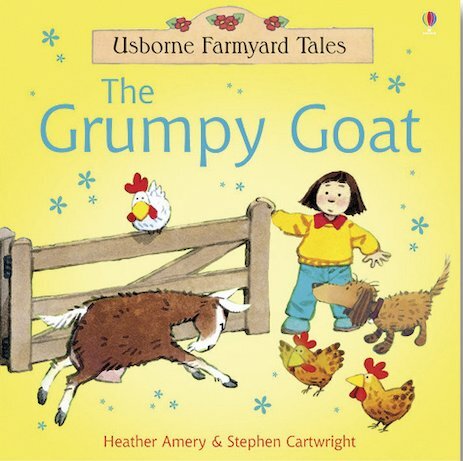 Another gentle comic story from the popular Farmyard Tales series, with simple words for children to read alone and a longer text for sharing together. Great book from the farmyard collection nice tale and pictures.